December 26, 2014, Chinese Foreign Minister Wang Yi held talks with Foreign Minister Pandey in Kathmandu and Nepal. Wang said the past 60 years, Nepal has always equality, mutual respect, mutual support between the size of the neighbors called the model of friendly coexistence. In the new century, China and Nepal established a comprehensive cooperative partnership and friendship for generations. China appreciates the firm support and valuable in Nepal and Tibet issue is related to China’s core interests given. Pandey said that Nepal geographically adjacent, popularity dates, Nepal and enduring relationship. China’s peaceful development achievements have important implications for countries in the region, Nepal Nepal thanked China for a long time in terms of economic and social development of great help. 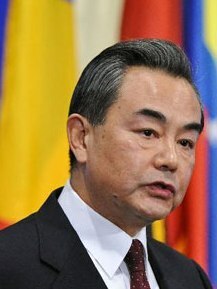 Nepal’s adherence to the one-China policy and will not allow any forces to engage in anti-China activities in Nepal. Wang said President Xi Jinping proposed to establish a new type of international relations at the core of win-win cooperation, build around the community of destiny, deepen mutually beneficial cooperation and interconnection with neighboring countries. Nepal is an important neighbor of China, is one of the priorities of China to strengthen the surrounding diplomacy. Nepalese do both mutual trust, mutual support of friends, but also to do the common development and common prosperity and good partners. China is ready to work with Nepal to push for closer bilateral development strategy docking, deepen pragmatic cooperation in various fields, to bring more benefits to the two peoples. 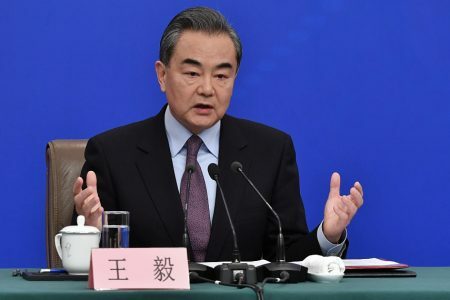 Wang said China and Nepal to maintain the momentum of high-level visits, strengthen political parties to exchange experience in managing state affairs, and jointly run the 60th anniversary of establishment of diplomatic relations. Wang said China and Nepal should expand pragmatic cooperation in the field of nine. (A) trade. Signing of a bilateral free trade area agreement to facilitate Chinese imports more goods from Nepal, Nepal let the people enjoy more inexpensive Chinese goods. (B) investments. China is willing to help Nepal to carry out preliminary planning SEZs, encourage Chinese enterprises to invest in the strength of Nepal, the creation of the industrial park, to help Trinity high level of industrialization, strengthen capacity for independent development. (C) the agricultural sector. China is ready to start the Nepal Agricultural Science and Technology Demonstration Garden, explore the field of rice, livestock and organic products, among others. (D) infrastructure fields. China encourages Chinese enterprises to actively participate in infrastructure construction Nepalese hydropower stations, airports, highways and other infrastructure to help strengthen the development of Nepal. (E) technology areas. China is ready to start the Nepal Technology Joint Laboratory for climate change, environment and other areas of joint research, provide the impetus for the development of Nepal. (Six) interoperability fields. Both sides should make full use of Araniko and salad highway to ensure smooth passage of two Nepalese. According to the need to increase airline passenger growth. China is willing to extend the railway from Xigaze to the territory of Nepal with Nepal to explore the timely conduct preliminary feasibility studies. (Vii) the field of tourism. China will continue to encourage Chinese citizens to travel Nepal, Nepalese people are welcome to Tibet Kailash Mansarovar pilgrimage. (Viii) the field of humanities. China is willing to establish Chinese cultural centers in Nepal, Nepal invited 100 young people visit the Confucius Institute to deepen exchanges. (Ix) security and law enforcement. Enhance defense and security and law enforcement cooperation to combat illegal cross-border and cross-border crime, maintain common security. To achieve the above cooperation, in Nepal need to build and make full use of the three “support.” First, the financial support. 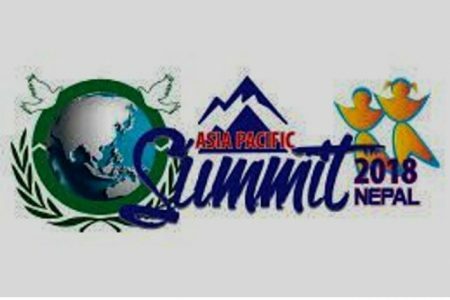 In addition to bilateral aid, China welcomes the active participation of Nepal “along the way” construction, the use of sub-funds, investment banks and Silk Road funds for their project financing, while actively using preferential loans to China for South cooperation initiatives put forward. Second, personnel support. China is willing to increase training in all aspects of Nepal talent, next year will provide 500 training places Nepal, in peaceful coexistence “Excellence Scholarship” framework to provide more scholarships to Nepalese side. Third, local support. China will support Tibet and other provinces to play the geographic advantage, more cooperation and exchanges carried out in Nepal. Pandey said that Nepal and pragmatic cooperation initiative proposed by Minister Wang Yi fully demonstrated China’s sincerity in helping the development of Nepal, the Nepal side is very grateful, strengthened the confidence out of the LDCs Nepal ranks in 2022. Nepal is willing to work with China to comprehensively strengthen cooperation in trade, agriculture, science and technology, interoperability, security, law enforcement and other fields, and actively participate “along the way” construction, Asian investment bank, Silk Road Fund, Forney made public. Wang said China is willing to continue to support the country as an observer of SAARC cooperation process, and is committed to enhancing cooperation with SAARC level, I hope, as the rotating presidency of Nepal to continue to play a constructive role. China is willing to strengthen coordination and cooperation with Nepal on major international issues, UN reform, sustainable development, climate change and so on. Pandey thanked China for the construction of a great support to SAARC and hopes China to further strengthen cooperation with SAARC. Pandey said that Nepal is willing to strengthen cooperation with China in UN affairs, to deal with change and other gas fields.